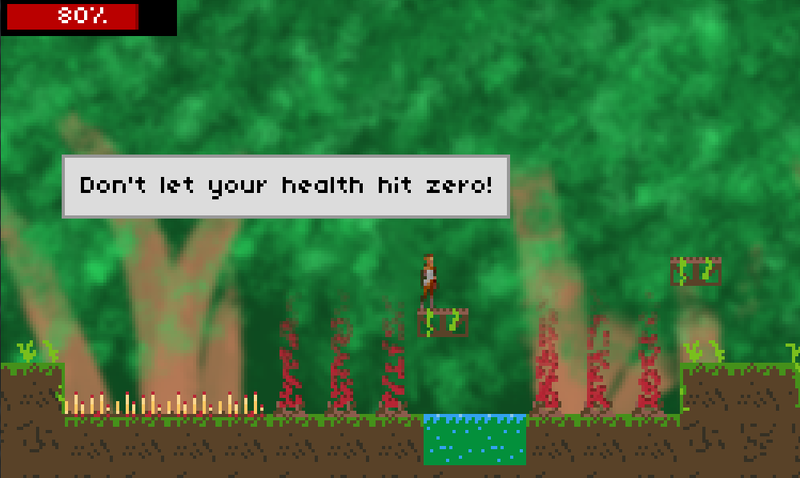 Do No Harm is a game I made with two friends, Ben Van Treese and Caleb Creed. We made it as part of the Indie Speed Run, 2013 as our first ever attempt at a game. Honestly, we knew the game would be rushed so everything we did would have to be pretty simple to implement and test. For this reason, and the fact that I had been playing with HaxePunk a lot already lately, we chose HaxePunk. Along with HaxePunk, we used Nape as a physics engine and Tiled as a map editor. With this combination, we created Do No Harm and released it to the world as our entry in the Indie Speed Run. None of us are graphically inclined. Almost all of our sprites came from either Caleb or Ben. The only sprite that wasn't made by us was the character sprite sheet, which we found on Open Game Art with a public domain license. Not very much time. We simply didn't have enough time to do everything we wanted to. Notice how the game doesn't have a story? There was one planned out, and it wasn't half bad, but we didn't have enough time to implement NPCs that tell it.